It’s #TravelTuesday again, so right here on Scott Kelby’s Photoshop Insider, that means only one thing…I’m back! I’m Dave Williams, and I’m here to lay down some wisdom! Well, today, I’ve decided the subject of friendship wins, rather than photography or Photoshop. Hear me out! So, you probably noticed, if you follow any single one of us on social media, Team Epic has reunited! 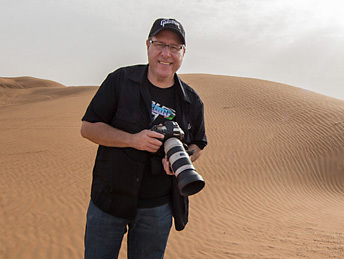 Representing the United States, none other than Scott Kelby, who you may be familiar with, along with Erik “Rocket Man” Kuna, KelbyOne’s Vice President, and thunderbolt and lightning themselves, Jeff Kelby and Mike McCaskey. Straight outta Dublin is Cathy Baitson, a wedding and newborn photographer with some sick shooting skills and an acute nose for tracking down a good Guinness. All the way from Iran (and Italy, and Canada) is Mimo Meidany, a gifted long exposure black-and-white photographer, who instructs for KelbyOne and leads workshops sharing his skills. This man is worth knowing, so long as you can figure out what he’s saying! KelbyOne community leader Fernando “Chicky Nando” Fernando hails from sunny Lisbon, Portugal where he works on photography projects and shoots an epic portrait. Nando is the kind of guy who has the rare talent of being able to get you out of about as much trouble as he gets you into! We all know the legend that is Roberto “Pisco” Pisconti from Padova, Italy, who spends his time shooting pretty much anything he can, and he does it well! He’s also a bit handsy…if you know what I mean! And finally, from London, UK, there’s me, Dave Williams, and Peter Treadway. Peter is an international wedding photographer extraordinaire and is honing a talent for long exposure and architecture photography. If you can’t find him, look for Cathy and you’ll find him on the next barstool! So, here’s point #1: Friendship is about finding people who are your kind of crazy! Having good people in your life, who see things in a similar way to you, who fuel your passion, and who light up your soul, they’re worth keeping around! This is certainly true of Team Epic, and each one of us can always rely on the rest at any time in a way that you’d expect from a family. Spread across multiple cities, in multiple time zones, I know that whoever I called for some advice would answer and give it. This squad gives strength to one another and makes each other believe in themselves. It’s truly awesome. So, onto point #2! And, I know this one is going to hit a nerve here and there, but bear with me. In the world of photography, you have very little real and direct competition! You know what that means? It means stop keeping secrets, start sharing, and start making friendships in the industry! What I mean by that, to interpret it into a real-world example, is this: If you’re a wedding photographer in London or a real estate photographer in New York, there are going to be a lot of other photographers there around you shooting the same thing, so it’s easy to see that as competition and make it negative. But, those other photographers aren’t really the competition at all. The other wedding photographers in London are shooting at different price ranges, with different specialities, with different styles, and with different personalities. When Peter and I ran a wedding photography business together we quickly noticed at consultations that the clients weren’t buying into our work anywhere near as much as they were buying into the two of us as people. Similarly, the real estate photographer in New York is surrounded by a whole bunch of other real estate photographers, but they also are shooting differently with different styles, at different prices, and they, too, have different personalities. Taking that into consideration, the true competition we have as photographers is slim to none, and there are plenty of other photographers out there who we could be making friends with and learning with. This terrible selfie is another example to help make my point. So, a couple of days ago, Team Epic descended upon Neuschwanstein Castle in Bavaria, Germany. The team lined up to shoot the castle from Marienbrucke, which is the spot everybody goes to if they want to capture the back end of the castle. That itself is a problem for me as a travel photographer, so in my previous visits to the castle, I went off the beaten track to find another vantage point which would enable me to get a shot that didn’t look like everybody else’s. I took Peter and Mimo through the forest to this spot, as well, knowing that although they, too, would capture the same view as me, they’d do it totally differently and it wouldn’t impact in the slightest on my sales of shots from this location, but would enhance our friendships and afford them a unique perspective, too. Making sense? Here’s the shot I got from there, and I guarantee it’s different to anything else you’ve seen of Neuschwanstein, but it’s a secret that was worth sharing! Let’s bring ourselves together as photographers and build friendships the likes of Team Epic, putting the fear of losing out to one side and helping each other to grow instead. The Worldwide Photo Walk, just a few days ago, is the perfect opportunity to kick things off, and if any other little Team Epics pop up, I’d love to see them! Great post, and Neuschwanstein is definitely in my top 10 landmarks I want to see. #Jealous. Thanks for the insights Dave. Our friendships will last long after the photos and mean much more. Great post Dave. I could go on and try to explain the epicness of Team Epic, but I will shut myself off and enjoy your friendship in silent. Your post is critical I have ever seen. thank’s for share us.